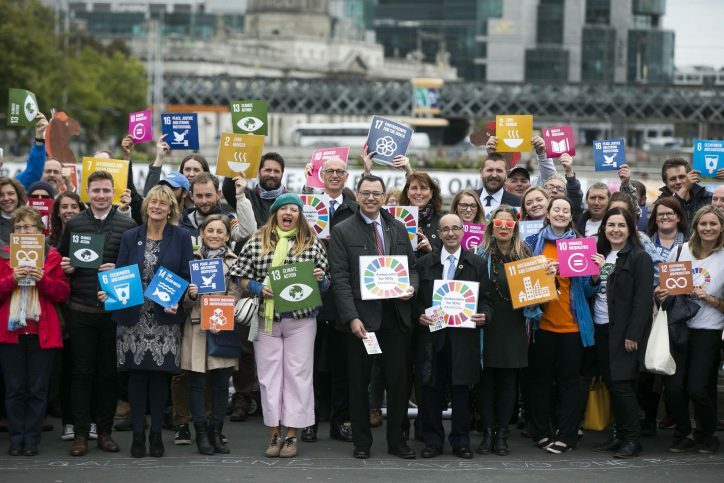 Hundreds gathered in Dublin today to mark the third anniversary of the adoption of the United Nations Sustainable Development Goals. 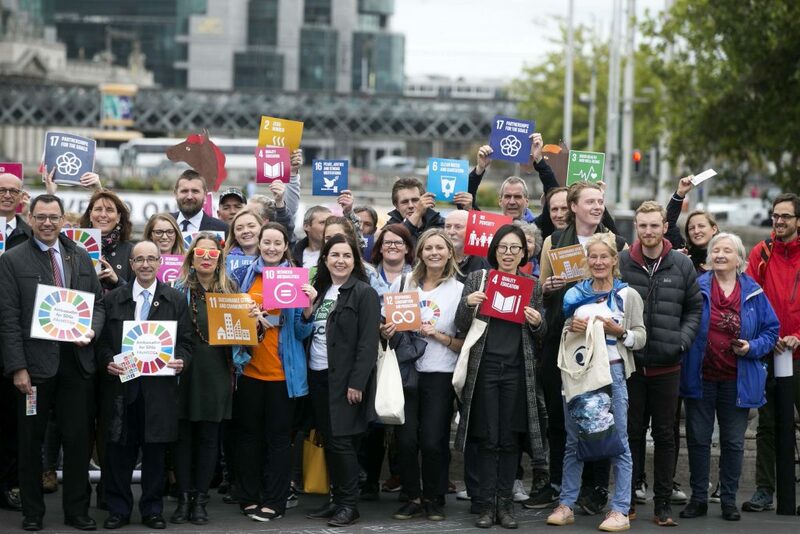 Coalition 2030, an alliance of over 100 Irish civil society organisations and networks, today led a street march in Dublin city centre as part of the Global Day of Action to highlight inequalities and reinforce commitments towards the Sustainable Development Goals. 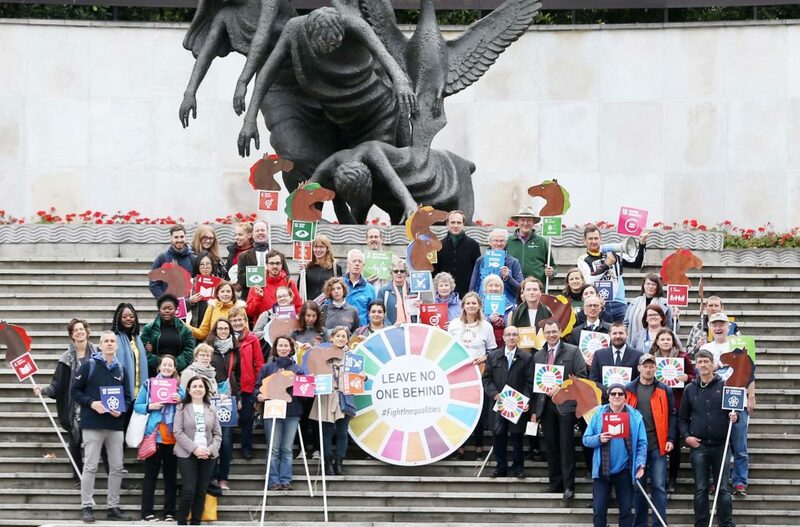 The 17 goals seek to achieve over 150 targets aimed at ending poverty, protecting the planet, and ensuring prosperity for all people by 2030. The group then walked to the Garden of Remembrance on Parnell Square where two young women living in Direct Provision led a spoken word performance. The event, which began on O’Connell Bridge at lunchtime, comes just days after a sit-in on the city centre artery at the weekend over the escalating cost of living across the country. 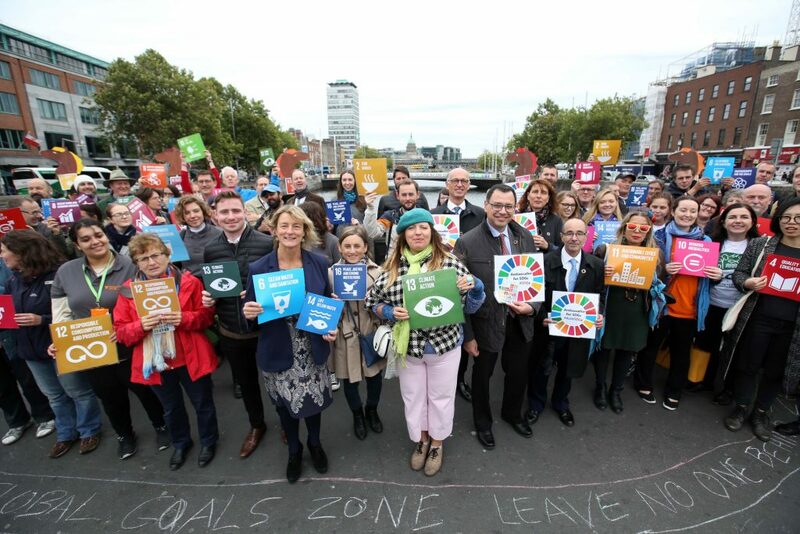 Speaking at the event, the Ambassador of Belgium and Coalition 2030 members highlighted the need to tackle rising levels of inequalities in Ireland, and live up to a promise to Leave No One Behind. The promise aims to ensure that the 17 goals can only be considered met if they are achieved for all nations, peoples and segments of society, and that the poorest, most deprived and marginalised are reached first. Dr Sean Healy, CEO of Social Justice Ireland, said that with 800,000 people in poverty, 700,000 on healthcare waiting lists and 10,000 people homeless, “Ireland is a profoundly unequal place”. Dr Healy said that “real progress” toward leaving no-one behind in our current thriving economy will require “robust policy coherence” across and within government departments. “A concerted all-of-government and all-of-society approach is essential to achieve the SDGs and reduce inequality,” he said. In New York, the Tánaiste Simon Coveney joined the annual global Central Park concert to mark the anniversary and will also speak at the 2018 Global Citizen Festival on Saturday. 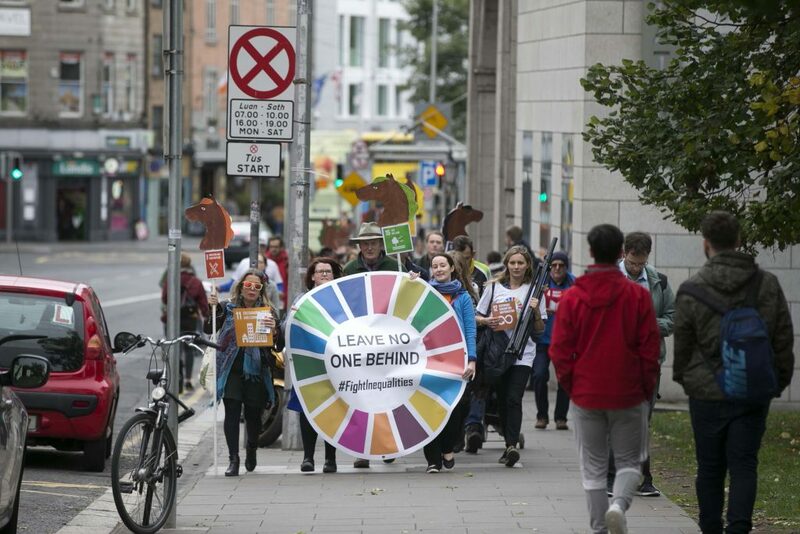 Michael Ewing of the Environmental Pillar – a coalition of national environmental groups – said that marginalised groups in society need to have their voices heard on how future plans and policies on the SDGs should look. He added that environmental degradation impacts most on those already marginalised, and that meaningful participation across Irish society is “crucial to combat exclusion”. “Marginalised groups need to have their voices represented and space for collaboration in plans, policies and commitments towards the SDGs,” he said.